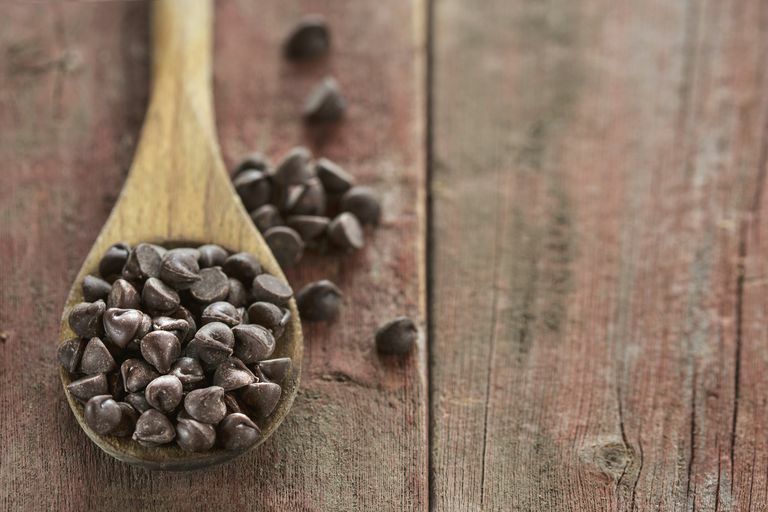 Read on for more details on how chocolate is made and which types are gluten-free. Yes, pure chocolate—made from roasted cacao beans—is gluten-free. But it also doesn't taste very good. In fact, some people argue that it tastes a little like dirt. To make the purest version of the sweetened, smooth candy we know as "chocolate," manufacturers take what's called "chocolate liquor" (which isn't alcoholic—it's just those liquefied cacao beans, sometimes also called "cocoa mass") and blend it with cocoa butter (fat from the cacao beans), plus sugar. Some of the highest-quality chocolates available include only these three ingredients, and it's this combination that makes "chocolate" such a taste sensation. The purest milk chocolates contain just one additional ingredient: powdered milk. How Can Gluten Get Into Chocolate? It's possible even for pure, unsweetened chocolate to contain a bit of gluten if it's been subjected to gluten cross-contamination in harvesting or processing (for example, if the cacao beans are processed on equipment that also processes wheat, barley, or rye). Sadly, the chances of having your chocolate contain gluten just go up from there—the more ingredients used in your chocolate (or that are used in the facility that makes your chocolate), the higher the risk. Obviously, some chocolate candy products feature gluten ingredients—either in the form of wheat (most frequently in chocolate-cookie confections) or in the form of barley malt (a popular sweetener frequently used in candy, especially in crispy rice and malted confections). For example, Hershey's Whoppers include both barley malt and wheat flour in their recipe, which places them off-limits for those following the gluten-free diet. Other chocolate candies contain no gluten ingredients, but they are subject to gluten cross-contamination because they're made on the same manufacturing equipment or in the same facilities as those gluten-containing items. In my surveys of candy manufacturers, this seems to be the biggest reason many chocolates aren't considered gluten-free. Generally, pure white chocolate is made from cocoa butter, milk, and sugar—it gets its much milder taste from the cocoa butter, and doesn't include any chocolate liquor (which contains the flavor we think of as "chocolate"). Since cocoa butter, milk, and sugar are gluten-free ingredients (assuming they've been protected from gluten cross-contamination), pure white chocolate made from only those three ingredients is gluten-free. However, most white chocolate bars contain more than just those three ingredients, and therefore could include gluten ingredients or be subject to gluten cross-contamination. You should carefully check the label of any white chocolate bar before purchasing. Ghirardelli's Premium White Chocolate baking bar is gluten-free, but Lindt Chocolate's white chocolate products are not safe. Chocoholics have no need to despair—there are many gluten-free chocolate candies on the market. If you're looking for a plain or flavored chocolate bar, my article on premium and gourmet gluten-free chocolate bars will help you figure out what's safe and what's not (there are several brands I can recommend). If you want chocolates in a gift box, my article on gluten-free gift candy boxes should point you in a safe direction. For more mainstream candy, check out my master gluten-free candy list. That list also includes links to information on holiday-themed candies such as those sold for Valentine's Day and Easter. Although many chocolate products you see in stores won't be considered gluten-free, it's still possible to get your chocolate fix even if you're following a gluten-free diet by choosing a gluten-free chocolate from one of those lists.